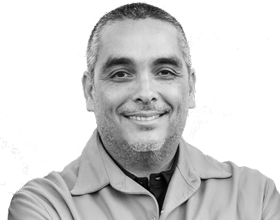 Manuel Gonzalez is the Founder of Global RIFF, a food tech discovery and investment platform. Previously, as Head of Startup Innovation for Rabobank and Managing Director of the Rabobank North America office in San Francisco, he founded FoodBytes! and the TERRA Accelerator platform. Formerly, he was the Country Head of Rabobank Mexico for four years. In 2015, Manuel is the founder of FoodBytes!, underscoring Rabobank’ s mission of banking for food, which continues to search for new ways to increase impact in the Food and Agri innovation space. Manuel joined Rabobank in 1996 as a project manager in the Project Finance business in Mexico. In 2003, he was named Head of Credit and a year later became the Head of Credit and Legal. Prior to Rabobank, Manuel was the General Manager for six years at Gonzalez Guzman Alimentos, a diary and food distribution company. Manuel holds an MBA from Georgetown University.